Night Safari is a remarkable attraction to see a wide array of nocturnal animals in their natural setting. It shelters 2500 plus animals in its 35 hectares of land. Utilize our Night Safari tour with round-trip transfers to explore its several unique segments, which interestingly represent the habitats of our planet’s seven amazing geographical zones, encompassing Indo-Malayan area, Asian Riverine Forest, Nepalese River Valley, Indian Subcontinent, Burmese Hillside, Himalayan Foothills, and Equatorial Africa. A visit to this night zoo also gives you the chance to watch Thumbuakar Performance and Creatures of the Night show. You can further upgrade your trip with an optional buffet dinner. 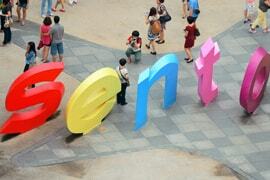 Take a half day tour with Rayna Tours to delight in the attractions of Singapore’s highly famed island getaway, Sentosa. You’ll have a chance to enjoy one-way Singapore Cable Car ride and appreciate the marvelous beauty surrounding the region. Visit Madame Tussauds, and also watch fascinating shows including Images of Singapore LIVE as well as Wings of Time on this approximately eight hours tour. 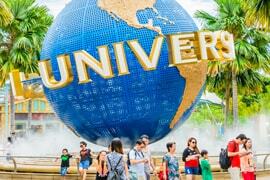 Get entry to one of the Southeast Asia’s most popular theme parks, with our convenient and flexible Singapore Universal Studios tour. You can indulge in endless fun, adventure and entertainment in this massive 50-acre park. After all, our ticket provides convenient access to all thrilling rides, unique attractions, and fun filled games spread over its seven distinct movie themed zones, such as Hollywood, New York, Madagascar, Ancient Egypt, The Lost World, Sci-Fi City, Far Away, and Madagascar. Discover the best of one of Southeast Asia’s wonderful destinations! In just five days, the ‘Beauty of Singapore’ allows you to take in a vast array of attractions that this stunning city-state has to offer. 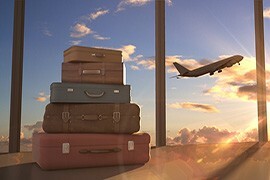 The all-inclusive holiday not only covers accommodation plus airport transport but also guided sightseeing and admission tickets to the most sought-after Singapore attractions. On the same day of your arrival, visit Night Safari Park and venture through its varied sections that indicate some of the world’s most significant night wildlife habitats. Further, don’t miss experiences like Creatures of the Night Show and Thumbuakar Performance. 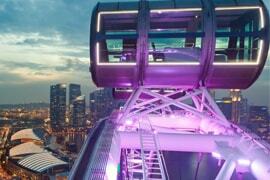 Next day, you’ll see some of the region’s showstopping sights and highlights on a fully guided city tour and also enjoy a breathtaking spin aboard the iconic Singapore Flyer which is one of the world’s biggest observation wheels. On day three, take a half day Sentosa Island tour which covers almost all of the island’s main highlights, along with an opportunity to enjoy a classic cable car ride over the island’s stupendous sights. And the main attraction of the fourth day is a trip to Universal Studios, featuring more than seven distinct movie themed zones. Apart from these, you’ll get plenty of time to admire this marvelous city-state at your own pace. My Parents were just so happy...and so was I! This tour was a gift for my parents on their 30th wedding anniversary. Both are nature lovers and hence loved the River Safari with the boat ride. They were really happy with all the arrangements too. Thank you Rayna for planning and executing everything flawlessly. This was my parents' first international trip and I wanted to make it memorable. Thank you for helping me doing it. It was a best honeymoon gift for my wife! Chose this Singapore tour for our honeymoon and loved every bit of it. The city tour was great as we got to see all the wonderful landmarks of the city. But my personal favourites were the Night Safari and the River Safari while my wife really enjoyed the Sentosa Island tour. We were also impressed by the planning done by Rayna Tours. We had a great stay at the hotel and all our transportation was taken care of, leaving us to really enjoy the tour.